I tried to prepare for today’s demonstration yesterday evening! I had some interesting assistance. I decided to show how to do a couple of Magnolia x soulangeana blooms and prepared the outline drawing for today. Today I had a lovely relaxing day with my husband as we drove to a little village just outside Salisbury where the Society of Floral Painters meeting was being held. 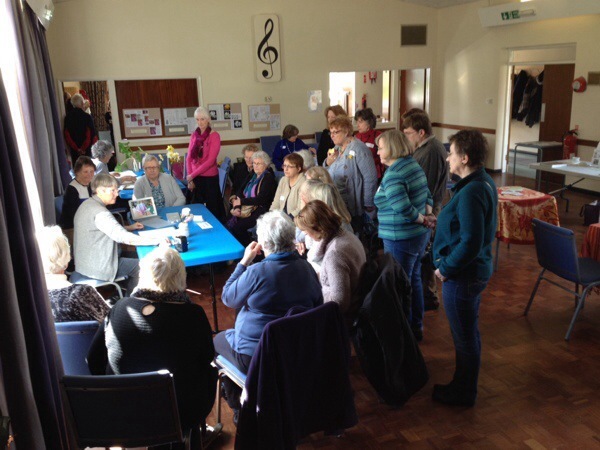 A lot of people had turned up both to get advice about their own botanical art work and to watch the demos. Coloured pencil work is fairly time consuming, so I didn’t get too far with painting the Magnolia, but I enjoyed the time showing the various techniques and answering all the questions fired at me. People there were obviously very interested and it was a very useful exercise – also for me. It is amazing how much one learns oneself when teaching! After the demo my husband treated me to a delicious lunch. What a lovely break for a few hours from the crab apple series. 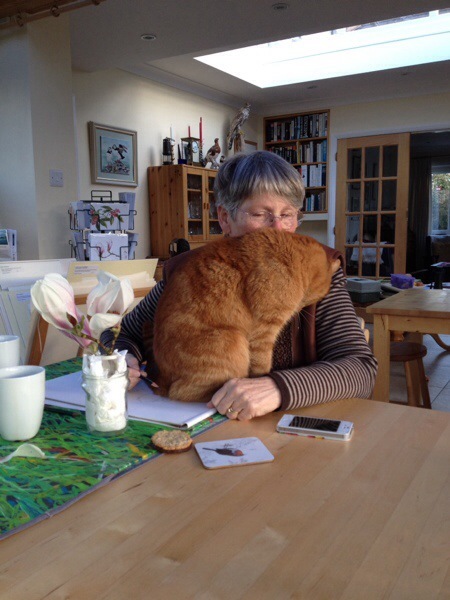 I did return to it when we eventually got home again.